If you’re going to be living in Paris for any significant amount of time, or just don’t think you can sustain your diet on croissants and baguettes alone, navigating the French grocery store situation is a necessity. This is one aspect that France is absolutely nothing like the United States. Many Parisians do their shopping at a variety of different locations: fruit and vegetable stands, cheese stores, bakeries, butcheries, etc. And yes, those are all separate. And they also tend to buy food fresh each day, rather than stocking up for a week or so like most Americans I know. There are no single mass grocery store runs for the French. But if you are looking for a more American grocery store experience, or you just don’t have the time to peruse fresh veggie stands on the daily, there are a variety of regular grocery stores to check out. Unlike the standard American chain, however, they actually vary a lot in price and variety. Check out this comprehensive list to make your grocery trips a little easier, or at least less than an all day experience. In what I now consider to be an expert opinion, after all my grocery store wandering, I’d definitely consider Monoprix the most “American” chain you’ll find in Paris. They’re pretty much everywhere, and also have a to-go food section, and interestingly a clothing line, which makes them seem a little like Target for the variety. The food selection, though, is much better, and you can find pretty much any French food you could imagine, as well as American brands (they have Fage Greek yogurt, which is actually a miracle). The prices, though, are not quite as appealing as the selection. My general strategy for Monoprix is simple: buy the things I’ve decided are worth the extra euros (like the Greek yogurt, and some vegetables like Brussels sprouts and sweet potatoes that are scarce elsewhere) and get out before I empty my wallet. My go-to second choice option, Carrefour is also somewhat comparable to Target and sells a pretty good variety of household products you might need. 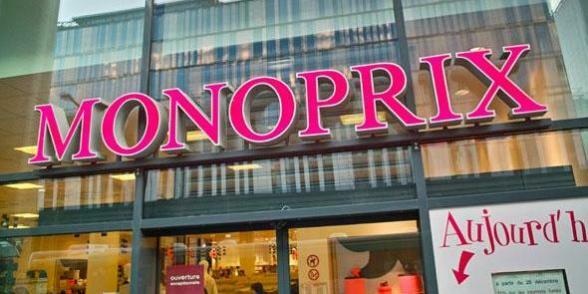 It has a wide variety of products, like Monoprix, and the prices are much more reasonable. 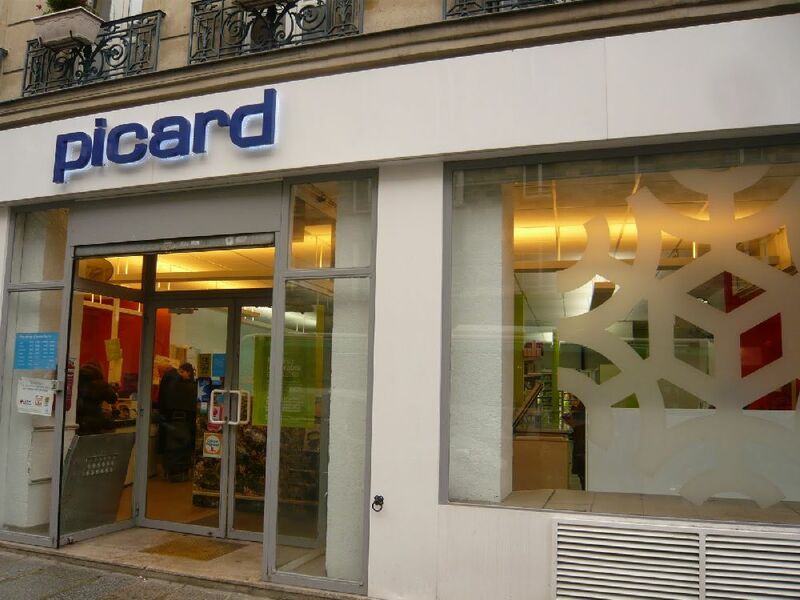 If you’re on the lookout for your closest Carrefour, though, check it out in person before you pick it out as your new grocery spot, because some are much smaller than others. Definitely the most interesting option, Picard is unique in that it sells only frozen food. Yeah, you heard me right, fellow lazy Americans. This is your go-to stop for frozen dinners, veggies, desserts, anything your heart could desire. The thing is, though, the quality is actually very good, not like your standard generic brand frozen product. Also, Picard is definitely a necessary staple for the college student living in a dorm, as its frozen products are easy to store and make. Franprix, like Carrefour, is fairly generic, but with a slightly smaller selection, though I’m sure it varies by location as well. From what I’ve seen, it seems to be the most common chain around Paris, which is great, because it’s also one of the cheapest. It’s also an ideal location to stock up on some lovely, and actually decently tasty, 3 euro wine. Definitely not my favorite option, G20 is great for cheap staples. I really like it for buying packaged, staple products rather than fresh foods, since you can’t really go wrong there. Thankfully, there is a G20 right around the corner from my apartment, which saves me from unnecessary expensive purchases and keeps me stocked up on the essentials. 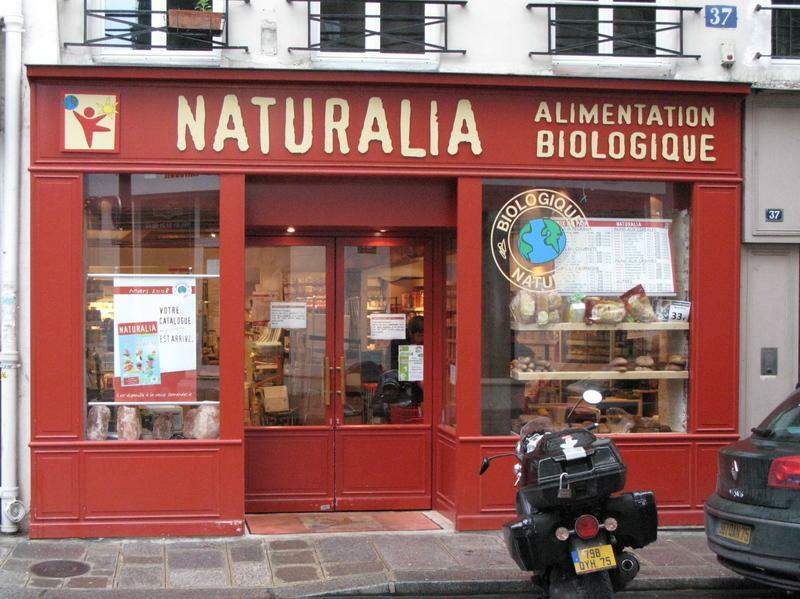 I am a huge fan of health food stores, and this is one area where Paris certainly outdoes the U.S. The selection isn’t quite like what you’d find in an American health food store (think more organic, and absolutely no low-carb or low-fat diet options), but the number of different health food stores themselves is pretty impressive. At each, you’ll find a slightly different selection, but some similarities: truly organic products, a great environment and friendly staff, and completely ridiculous prices. That being said, I still shop at them fairly frequently for a few favorite items. My favorites are Naturalia and Bien, but there are plenty of other options to choose from. If you’re really dying for some truly American, or international, shopping, Paris still has options for you. Check out La Grand Épicerie de Paris at Le Bon Marché. It’s insanely expensive and inside a huge department sure, but also definitely worth checking out just to see the crazy amount of international products that are available in Paris if you really want to find them.